Canfield-There will be a service on Monday May 25th, at 10:00 a.m. at Trinity Fellowship at 4749 South Ave in Boardman for Ricardo Blanco, 87 who passed away Wednesday, May 20th 2015. Ricardo was born January 30,1928, in Yaguajay, Las Villas, Cuba, the son of Ricardo Blanco and Ramona Amador. Ricardo came to the United States in February 1957. He retired in December 1996 from the Waste Water Treatment Plant in Youngstown. Ricardo and his wife the former Zenaida Donates were married on July 4th, 1958. He was a member of Trinity Fellowship and participated in the “The Bears” for the Hospice of the Valley . Ricardo enjoyed fishing, gardening and being with the Family. He will always be remembered by his wife (Zenaida); sons Richard (Laura) Blanco of Youngstown; Ralph (Yvonne) Blanco of Poland; daughter Rosanna (Brad) Grace of Ellsworth; 7 Grand children, Joshua (Amber) Lattanzi, Scott and Hannah Grace, Mark, Amanda, Mya and Mara Blanco; brothers, Felix, Calixto and Rolando Blanco; sisters Ana and Maria. Besides his parents, he is proceeded in death by two brothers Eduardo and Jose and one sister Eliodora. Friends and family may call from 5-8 p.m. on Sunday at Trinity Fellowship and from 9-10 a.m. on Monday until the time of service at the church. 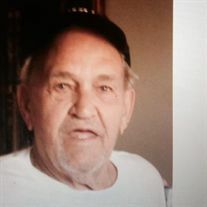 Arrangements are being handled by Davis-Becker Funeral Home, Boardman. Please share your memories of Ricardo.